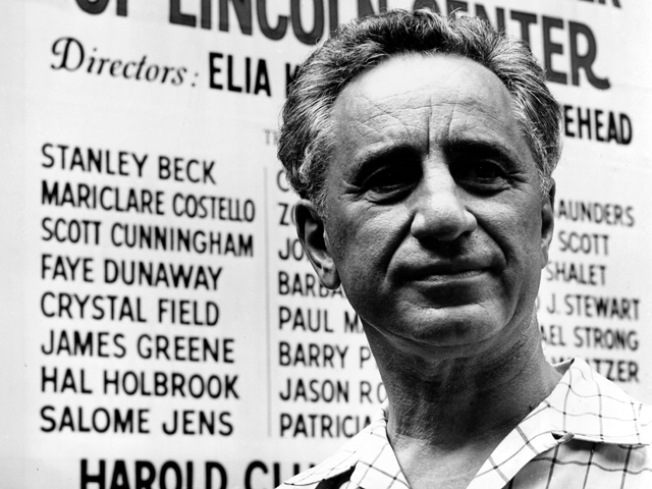 Martin Scorsese, who would become a famous director in his own right, now pays homage to Elia Kazan in a new documentary, which was screened recently at the Venice film festival, Reuters reported. When he was a kid growing up in New York, Martin Scorsese was exposed to the works of Elia Kazan, the legendary director of such films as “Gentleman’s Agreement,” “On The Waterfront” and “East of Eden.” "It's almost impossible to say how deeply I was affected by Kazan's films," Scorsese once wrote. Scorsese, who would become a famous director in his own right, now pays homage to Kazan in a new documentary, “A Letter to Elia,” which was screened recently at the Venice film festival, Reuters reported. Kazan, who died in 2003 at age 94, received an Academy Award for lifetime achievement in 1999; his films have garnered 20 Oscars. He has worked with iconic actors such as Marlon Brando and James Dean. While noted for those aforementioned films and others, including “A Streetcar Named Desire” and “Splendor in the Grass,” Kazan also drew controversy. In 1952, he named eight members of the Community Party to the House Un-American Activities Committee at the height of the Red Scare. That act would cost Kazan’s many friends in the Hollywood community. The new documentary also features an interview with Kazan, who said his decision to name names was “only the more tolerable of two alternatives that were either way painful and wrong." In remarking about Kazan’s works, whose films tackled themes such as union corruption (“On the Waterfront”) and anti-Semitism (“Gentleman’s Agreement”), Scorsese says: "These were the people I saw every day, the people I knew. It was as if the world I lived in mattered."